Honda and Ten10 Challenges you to race to your dreams. These two companies give you an opportunity to learn 2 Wheeler Racing like it was meant to be. It also gives you a chance to show off your real talent when it comes to Motorsport. I was privileged enough to attend this event. Lucky me, it was an experience that i will remember for years to come. 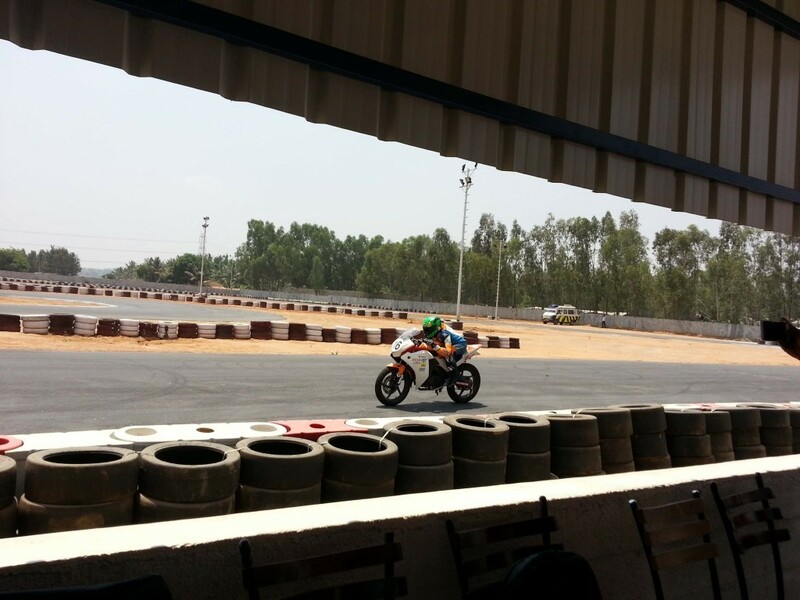 This was a 1 Day event which was conducted on April, the 18th at Meco Kartopia Go Karting Track, Bangalore. Let me give you a gist of the events that took place. I was excited, and was the first one to arrive. The view of the bike lot was breathtaking. Imagine 20 or so Fully Modded Honda CBR 150 R‘s, parked which were ready to race. The event kicked off with a quick Intro of all the participants. 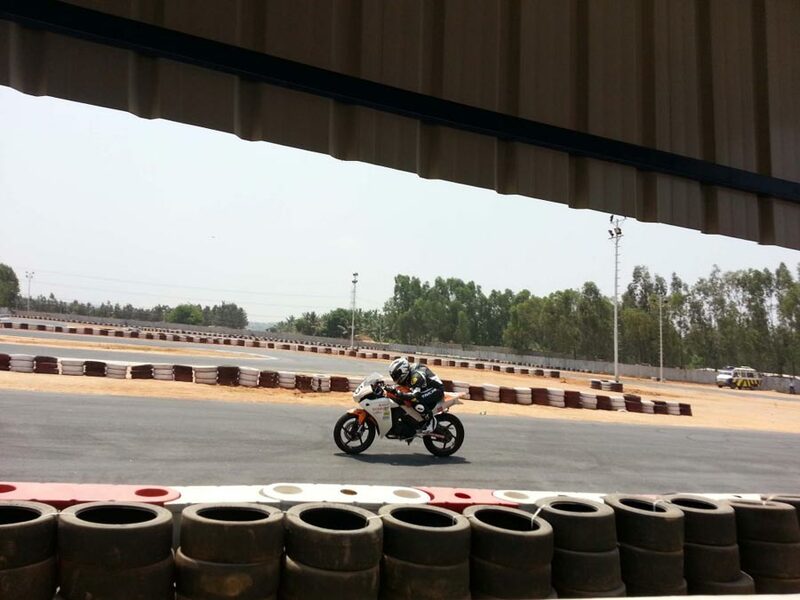 If you are an avid motorsport fan, then you will definitely be familiar with the Ten10 Racing Academy. The man behind the company itself turned to be our coach for the day! Helmets should always be ECE or Snell Certified. It should have a D-Ring Lock System. And the most important of all, the helmet should be a snug fit for your head. Many standard helmets will always come with a size. Be sure to get one which fits you tightly and at the same time be comfortable. The Riding Suit they gave us was made of Kangaroo material. You can get 2 types, leather made of Cow material or Kangaroo. Kangaroo ones are expensive but lighter, thinner, flexible and more comfy. It comes with 2 CE certified Shoulder Pads, Kevlar fibres along the arms and thighs which provides abrasion resistance, and also elbow and kneepads. The Back Protector makes sure when you land on your head from behind, your head will not be the first thing to hit the ground, and makes sure it takes maximum impact. It is designed to be a little bit more taller starting from the lower part of spine which is an added advantage. It also comes with a small storage unit where you can store water and other stuff. The Gloves and the Shoes were also very standard. The shoes came with a grippy tread for traction and excellent ankle protection. After learning all about Riding gears we moved on to discuss about Pit Stops, Marshal Posts, Wash Room facility, and Track Rules. Mr Ramji told us that we should always keep our pit stops clean and tidy. You should never wait for others to clean it, you should take charge when the moment demands it. Marshal posts are very important. These are the points on the tracks where you can get immediate care and attention. Before starting out you should always know where Control Room, Wash room, Medical centres and other important points of interest are located so that when an emergency comes up instead of panicking you can rush to the concerned spot without any delay. Next the coach gave us a brief overview about all the flags that are used in Motorsport Racing. Some of the important ones such as GREEN is for start of the race, RED is for Race stopped, BLUE is for faster bikes approaching from behind, WHITE is for emergency vehicle is on track such as an Ambulance, YELLOW is for caution such as a rider has been injured on the track, etc. After that Mr Ramji told us about the various hand signals such as the most important one is when you are exiting the track. The signal when you are exiting the track is to bend you arm at 90 degrees, while your hand is pointed up and forming a fist. This signals lets the riders behind know that you are about to slow down and take an exit. Finishing the classroom session we moved on to learn everything about the bike hands-on. One of the trainer Vinoth introduced us to our bikes and showed us how to position our body when leaning, how to attack corners, etc. After some basic stretching exercises we were ready to race, so that’s what we did! 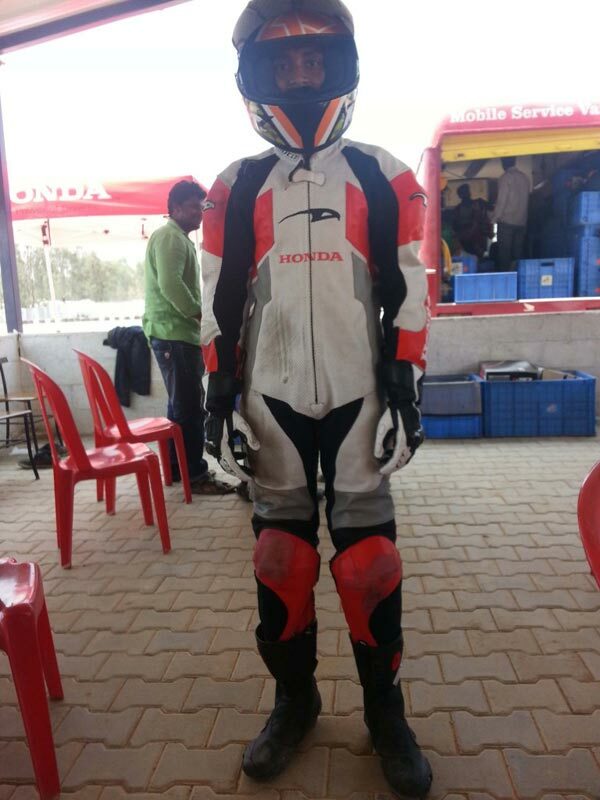 We took our Gaadi (pun intended), wore our gear like Batman wearing his armour, and got our hands dirty. Following the practical session, Mr Ramji, went in-depth and told us the importance of braking, braking reference points, acceleration, throttling down, up-shifting and down-shifting, how to make exits at curves. Braking reference points are nothing but exact spots on tracks where you should pull your brakes. The key to braking is analysing and finding those spots, and braking every time you hit that spot. Throttling should never be done in the series open-shut-open. This will slowly build up energy in the spring and ultimately throw you off the bike. Down-shifting always slows down the bike, i know its obvious but keep ’em to a minimum. A good rider never down shifts unless there is an absolute need to. When you are going to take a turn you should finish all the steps such as Braking, Down-shifting, Throttling down, and shifting your weight. When the time comes you should only do the bit of leaning and pushing your handle bars in the right direction, also known as Counter steering. The art of making a quick exit is to learn those 4 points and apply them every time you race. Remember the new saying? Perfect Practice makes Perfect! In the end we also learnt about Crash Management. The Golden Rule is, if you know you are certainly going to crash, then don’t resist it, let your body do its natural course of events such as turning, rolling, bending and twisting. The more you resist the more chances are that you will end up hurting yourself. As soon as you crash and are still conscious, immediately raise your hand so that the Marshals rush down to assist you. In the meantime if you have fallen right on the track, get yourself to a safe spot by getting out of the racing line. Leave your bike as it is, do not be an idiot and try to start your bike right on the track. That is really stupid, unless you want to get hit again! All in all, the experience was a splendid one! If you get a chance to participate in any such events, please do yourself a favor and take part. Remember (as Mr Ramji quoted) speed is just a perception of reality! Your perception is your reality.